We are specialized in Kitchen fume extraction and Ventilation system. 2. 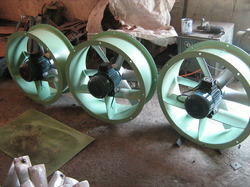 Axial flow Fresh Air Fans/ Fresh Air Blowers. 3. G.I. 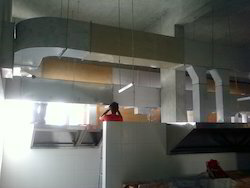 Ducting for Fume extraction and fresh air Input inside the kitchen premises. 4. SS.-304 Suction Hood/ G.I.- 22 gauge Hoods. 5. SS.- 304/ G.I. Oil filters. 6. Fresh Air Input grills. 3. Coca cola India Ltd.
5. Bikaji Foods Pvt. 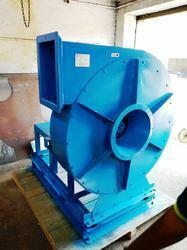 Ltd.
Blower Used for Extraction Kitchen Fumes/Ventilation effects. The high efficiency axial flow fans are used for providing fresh air in the kitchen working area for cross ventilation. The fresh air ducts are made of G.I. 24 / 22 guage sheet with branches and pressure relief dampers and grills to provide the fresh air inside the kitchen area for cross ventilation. 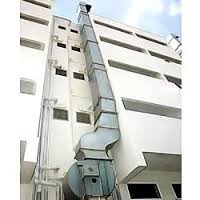 Exhaust Ducts are connected with outlet of the blower to exhaust the fumes / heat to the atmosphere by providing the relief in working premises.